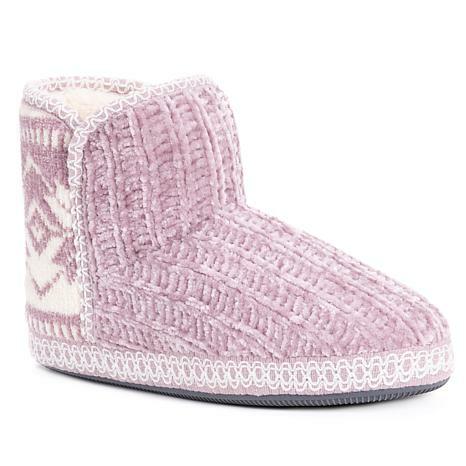 Nordic patterns and soft chenille come together in a heavenly pull-on slipper you won't want to take off. Grab another cup of coffee and enjoy the morning; your other shoes can wait. We've updated the classic scuff silhouette with on-trend design details and modern comfort features. Cloudlike memory foam insoles and sleek stitch details combine style with timeless comfort. 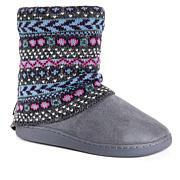 Featuring plush lining and a luxe chenille upper, these timeless clogs are a treat for your feet. Our DF StepFoam design offers extra cushioning where you need it most and a durable indoor/outdoor outsole ensures this silhouette is the perfect pick for all-day comfort!